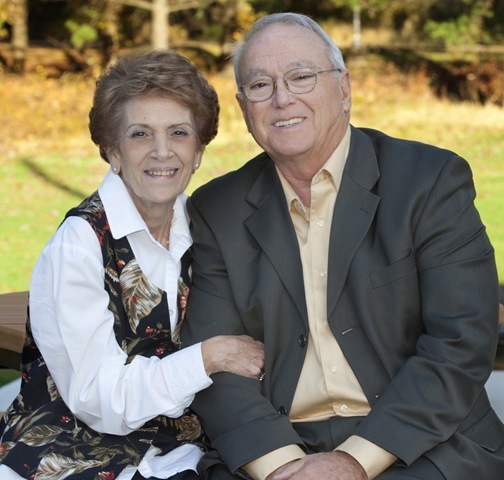 SULLIVAN COUNTY, NY (November 19, 2013) – Alfonso (Al) and Maria Frangipane, residents of Kauneonga Lake, NY, have been selected as the recipients of the 2013 SYDA Foundation Community Service Award. The award includes a monetary gift of $5,000. Since 1986, the SYDA Foundation has sponsored this annual award to recognize and honor local citizens whose community service has been outstanding. A committee of local civic leaders and past Community Service Award recipients selected the Frangipanes to receive this year’s award in recognition of their years of service to many local and national organizations that benefit the people of Sullivan County. The Frangipanes have supported many groups in Sullivan County over the years. Children know them as “Santa and Mrs. Claus,” the roles they play each year at Sullivan County’s Court Appointed Special Advocates (CASA) “Breakfast with Santa” event. Al Frangipane has served as a Fire Commissioner for the Kauneonga Lake Fire District since 2005. Both Maria and Al Frangipane are patient advocates at Catskill Regional Medical Center – last year alone they helped raise more than $13,000 for its Cardio-Pulmonary unit. The couple is actively involved in Thunder 102’s Radio-Thon events, which in the last two years brought in more than $70,000 in donations. During Storm Sandy and its aftermath, the Frangipanes staffed the local American Red Cross shelter at Sullivan County Community College. Other organizations with whom they work include the Bethel Lions Club Screening Eyes Early Program, Bethel First Renaissance, Safe Passage, Sullivan County Sheriff Department’s D.A.R.E. Program, Families of Iraq and Afghanistan War Veterans, and the Lions ALERT emergency response program. The Community Service Award will be presented to the couple on Thursday, November 21 at 2:00 p.m., at the monthly meeting of the Sullivan County Legislature, at the Government Center in Monticello. The public is invited. The SYDA Foundation, located in the Town of Fallsburg since 1979, is a not-for-profit organization that makes Siddha Yoga meditation available to students around the world. The SYDA Foundation contributes to the Sullivan County community through regular donations to the local volunteer fire departments, police, school district, and hospital, and through its philanthropic expression—PRASAD Children’s Dental Health Program. To read more about the work of Al and Maria Frangipane, check out the Catskill Chronicle’s profile of them in our Sullivan Faces section at "Doing Good Because It’s the Right Thing to Do."